The 180 meter long, 40481 dwt bulk carrier La Richardais became disabled in the North Atlantic Ocean near the Canary Islands. 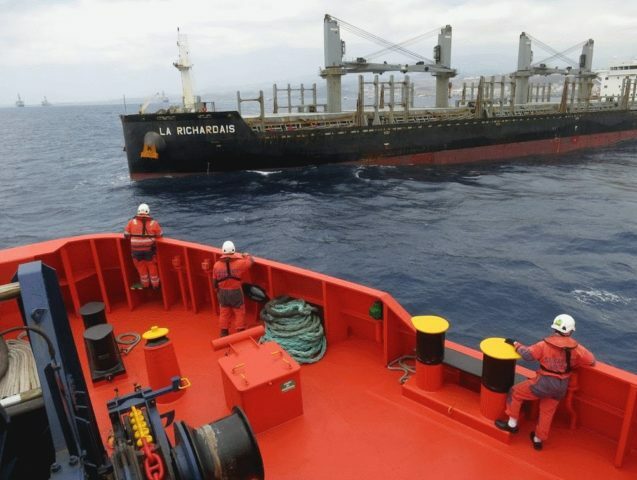 The La Richardais was 1 mile away from the port of Las Palmas when it suffered engine failure. The bulker requested assistance with the search and rescue vessel Miguel de Cervantes responding. The SAR vessel took the La Richardais under tow to a nearby anchorage. No reports of injuries, damage or pollution released.